Learning about the many ski areas of the French Alps can be a bit overwhelming as a first time skier. You’re wise to be doing your research ahead of planning your trip. Considering a stop in the Pyrenees area is a good one to consider when you look at all the region has to offer and what makes it unique. Here are a few highlights. The Pyrenees is the name given to the ski area that runs the border between France and Spain. About halfway down the long run you will find the small country of Andorra. The reason the Pyrenees should attract your attention is that this range is less frequently crowded by tourists and is also reported to be one of the most economical areas in France for skiing at all levels of expertise. There are over 200 summits reaching more than 2000 meters into the sky in this region. Difficulty ratings range from green (most basic) to black (most skilled) along this region. 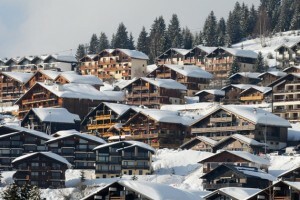 Ski Resorts Throughout the long region you will find close to 40 different resorts. In order to find the one that is most suited to you, start by researching the peaks in the area to find ranges that appeal to your ski level of expertise as well as to those in your party. From there, focus on finding a resort that offers the amenities you seek while not on the slopes. Here are a few highlighted resorts which offer specialized experiences in the Pyrenees. La Pierre St. Martin This resort is open to skiers with disabilities and special needs. This rare designation does not mean that you won’t find challenging slopes though. The resort also boasts 14 lifts, 45 cannons, 2 restaurants and 2 ski schools for beginners. You’ll find 3 green runs, 9 blue, 5 red and even a black run for experts. Domaine du Tourmalet This is the largest resort in the Pyrenees region. Apart from 43 lifts giving you access to more than 100 km of pistes you will also find extensive cross country courses. Choose from 23 green, 21 blue, 20 red and 5 black runs. There is a snow park as well.